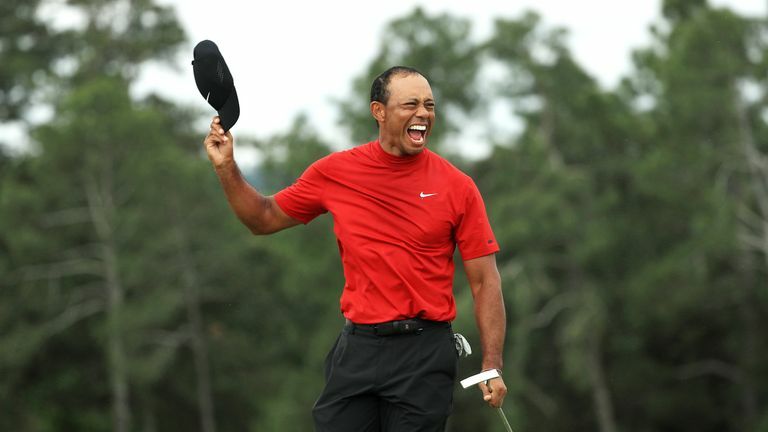 Woods claimed his fifth Green Jacket with a one-shot win at Augusta on Sunday - ending an 11-year wait for his 15th major victory and completing a remarkable comeback having been ranked as low as 1,199th in the world less than two years ago. "You just watch it all day long and you say, 'This is a man who is possessed. He's possessed to win a golf tournament,'" Nicklaus said on Live from the Masters. "He's absolutely under total control and he's going to get it done. And he did. "I mean there wasn't any question in mind, after seeing [Francesco] Molinari hit the ball in the water at 12, and Tiger put it on the green. I said 'tournament's over.' It doesn't make any difference what anyone else is going to do. Somebody is going to make enough mistakes, and Tiger won't make any, and he didn't." 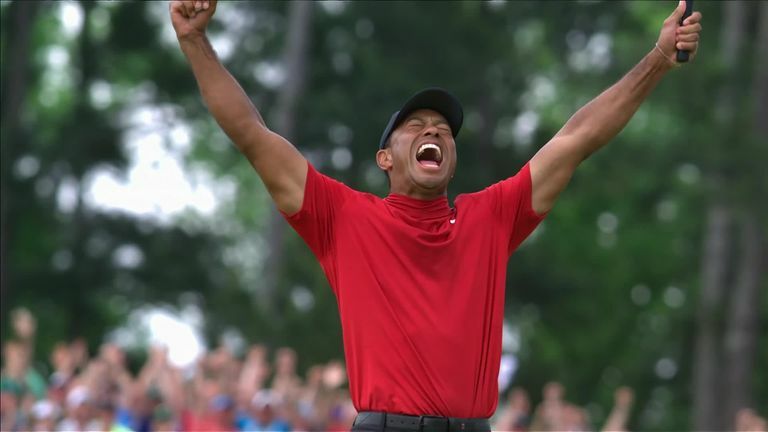 Woods' win evoked memories of Nicklaus' own victory in '86, especially when Tiger stuffed his tee shot at the par-3 16th, just as Jack had done en route to his sixth green jacket 33 years ago. The difference in Nicklaus' mind is that he never expected to win again, and Woods clearly did. "The difference is that this year Tiger was coming back and he expected to be in contention. I didn't really expect in '86 to be in position to win," he said. "I got myself in position, and when I did, I remembered how to play. Tiger looked like he got himself in position and he knew how to play. "He may have been part-remembering, but guys who really understand what they're doing and how to play, they remember how to play and they remember what to do when they need to do it. Tiger did that today, and I did it in '86. "I felt for a long time he was going to win again," he added. "And, you know, the next two majors are at Bethpage, where he's won [2002 U.S. Open], and Pebble Beach, where he's won [2000 U.S. Open]. So, you know, he's got me shaking in my boots, guys."